Id-Dipartiment tal-Malti fil-Fakultà tal-Arti tal-Università qed jorganizza konferenza dwar l-awtur Juann Mamo (1886-1941) li se ssir nhar is-Sibt, 26 ta’ Ottubru 2013 fl-Auditorium tal-Valletta Campus fi Triq San Pawl, il-Belt bejn id-8.45am u l-5.00pm. Kulħadd huwa mistieden. Id-dħul huwa b’xejn u m’hemmx bżonn ta’ reġistrazzjoni minn qabel. Waqt il-konferenza se jkun hemm ħin għal diskussjoni miftuħa bejn il-kelliema u l-udjenza preżenti dwar it-temi li jitqajmu. L-għoxrin kelliem u kelliema huma studjużi minn oqsma bħal-letteratura, il-lingwa u l-lingwistika, l-inġinerija, il-mediċina, il-liġi, l-etnografija, u l-istorja tal-emigrazzjoni. 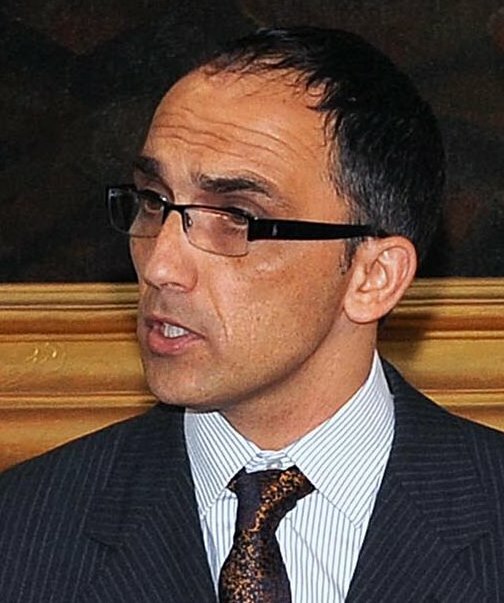 Barra minn hekk, Dr Immanuel Mifsud se jippreżenta siltiet qosra minn films li jmissu temi jew jippreżentaw xenarji li huma ttrattati minn Juann Mamo fin-narrattiva u l-poeżija tiegħu. Din il-konferenza qed tittella’ bl-għajnuna tal-Ministeru għall-Edukazzjoni u x-Xogħol u se tinfetaħ mill-Ministru Evarist Bartolo, li kiteb id-daħla għall-ewwel edizzjoni fil-forma ta’ ktieb tar-rumanz Ulied in-Nanna Venut fl-Amerka ta’ Juann Mamo li ħareġ fl-1984. Din se tkun l-ewwel konferenza nazzjonali li qatt saret dwar dan l-awtur, studjuż u attivist kulturali straordinarju u se taħbat mal-pubblikazzjoni mill-SKS ta’ tliet kotba marbutin max-xogħol ta’ Juann Mamo u li fihom diversi membri tad-Dipartiment tal-Malti għandhom sehem ewlieni. Wieħed mill-kotba huwa edizzjoni ġdida, b’daħla kritika u tifsir il-kliem, tar-rumanz Ulied in-Nanna Venut fl-Amerka, ibbażata fuq l-edizzjoni oriġinali li ħarġet bħala faxxikli fl-1930-31. L-editur huwa Adrian Grima u l-konsulent lingwistiku huwa Manwel Mifsud. Taw sehemhom ukoll Stefano Farrugia u Olvin Vella. It-tieni ktieb huwa dwar għadd kbir ta’ personaġġi Maltin u barranin, minn personaġġi fil-bliet u l-irħula Maltin ta’ żmien Mamo sa xjenzati magħrufin, li jissemmew fir-rumanz, proġett ta’ Anton Cassar li fuqu ħadmu wkoll ir-riċerkaturi Olivia Borg u Adrian Grima. It-tielet ktieb fis-Sensiela Juann Mamo tal-SKS, bl-isem ta’ Tħeġġiġa lill-Kittibin, huwa ġabra kritika tal-poeżiji kollha ta’ Mamo minn Annalise Vassallo, gradwata tad-Dipartiment tal-Malti. L-editur ġenerali ta’ din is-sensiela huwa Dr Adrian Grima, li jgħallem il-letteratura Maltija fid-Dipartiment tal-Malti. Fost il-kelliema se jkun hemm ukoll il-Professur Manwel Mifsud, li kellu sehem kbir fix-xogħol li sar fuq l-edizzjoni l-ġdida tar-rumanz, u Oliver Friggieri, li kiteb l-ewwel xogħol kritiku importanti dwar Mamo u l-kitba tiegħu fl-1984. Minbarra l-awturi, se jitkellmu wkoll Dr Bernard Micallef, il-Kap tad-Dipartiment; il-Prof. Ivan Callus, il-Prof. Ray Mangion, Fr. Lawrence E. Attard, Dr Charles Scerri, Dr Ing. John C. Betts, Dr Albert Gatt, Dr Michael Spagnol, Anna Borg Cardona, Lara-Marie Cilia, u Clifford Jo Żahra. Fid-dawl tal-fatt li Mamo kellu ħafna interessi, talenti u esperjenzi, u li dawn jidhru sew fil-poeżiji u fir-rumanz u l-personaġġi li jissemmew fih, il-Konferenza Juann Mamo għandha l-għan li tistħarreġ il-personalità u l-istrateġiji letterarji ta’ Juann Mamo minn angoli differenti. Hemm tagħrif dettaljat dwar il-Konferenza Juann Mamo fuq il-Facebook u fis-sit https://juannmamo.wordpress.com. 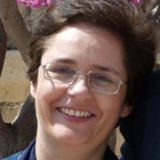 Aktar tagħrif jista’ jinkiseb mingħand Dr Adrian Grima fl-indirizz adrian.grima@um.edu.mt. CAN WE NOT WRITE THE TRUTH? The Department of Maltese in the Faculty of Arts at the University is organising a conference on the eclectic Maltese writer Juann Mamo (1886-1941) on Saturday, 26th October 2013 at the Auditorium of the Valletta Campus in St Paul’s Street, Valletta, between 9.00am and 5.00pm. The general public is welcome to attend. Entrance is free, and food will also be provided. There is no need for advance registration. During the conference, ample time will be allowed for open discussion with the audience about the issues raised by the invited speakers. The twenty speakers who will be addressing the conference come from areas ranging from literature and linguistics to engineering, medicine, law, ethnography, and the history of migration. Short excerpts from three films which depict scenes and deal with themes raised in Juann Mamo’s narrative and poetic work, will be introduced by Dr Immanuel Mifsud and shown during the one-day conference. The conference is being organised in collaboration with the Ministry of Education and Employment, and will be opened by Minister Evarist Bartolo, who wrote the preface to the 1984 edition of Mamo’s novel which was originally published in numbers in 1930-31. This is the first national conference on Mamo coincides with the publication by SKS of three books related to his work in which members of the Department of Maltese were involved. The first is a new edition of the Mamo’s now classic novel about a group of uneducated Maltese migrants who travel to New York, Ulied in-Nanna Venut fl-Amerka. The novel, based on the first edition published by the author, has a new critical introduction by the editor, Dr Adrian Grima, and a extensive glossary prepared in consultation with Prof Manwel Mifsud and Olvin Vella. SKS is also publishing a companion book to the novel with information about many of the real life figures mentioned by Mamo, from prominent Maltese politicians and activists and common people who became popular figures in the community, to world renowned scientists and personalities of American popular culture. The brainchild of veteran journalist and writer Anton Cassar, this book includes extensive research by Olivia Borg and Adrian Grima. The third book in this Sensiela Juann Mamo, whose general editor is Adrian Grima, is a critical edition by Annalise Vassallo of his poems, which are being collected in book form for the first time. This new book, Tħeġġiġa lill-Kittibin, allows readers to get to know other sides of Mamo’s complex personality which are not always immediately apparent in his prose writings. Three of the poems in the book are long narrative works published in booklet form by Mamo in 1913 soon after being released from prison. Apart from the authors of these books, the speakers at the conference include Prof. Manwel Mifsud, who acted as consultant to the editor of the novel, and Prof. Oliver Friggieri, who wrote the first important critical analysis of Mamo’s life and works in 1984. The other speakers are Dr Bernard Micallef, head of the Department of Maltese, Prof. Ivan Callus, head of the Department of English; Prof. Ray Mangion, from the Faculty of Law; emigration expert Fr. Lawrence E. Attard; Dr Charles Scerri, from the Faculty of Medicine; Dr Ing. John C. Betts, Dean of the Faculty of Engineering; Dr Albert Gatt, director the Institute of Linguistics at the University; Dr Michael Spagnol, from the Deparment of Maltese; ethnographer Anna Borg Cardona; and graduate students Lara-Marie Cilia u Clifford Jo Żahra. More information on the Konferenza Juann Mamo is available on Facebook and on https://juannmamo.wordpress.com. Information can also be obtained from Dr Adrian Grima on adrian.grima@um.edu.mt. Nhar is-Sibt 26 ta’ Ottubru se jkunu għall-bejgħ għall-ewwel darba, u bi prezz speċjali, tliet kotba mis-Sensiela Juann Mamo ppubblikati minn SKS Publishers. Dawn huma edizzjoni ġdida tar-rumanz Ulied in-Nanna Venut fl-Amerka, b’daħla kritika u glossarju estensiv, ktieb dwar il-Personaġġi f’dan ir-rumanz, u ktieb li jiġbor flimkien, għall-ewwel darba, u f’edizzjoni kritika, il-poeżiji ta’ Juann Mamo. Is-Sensiela Juann Mamo għandha disinn tal-qoxra tal-artist magħruf Pierre Portelli u disinn fuq ġewwa ta’ Gaetan Cilia. L-editur ġenerali ta’ din is-sensiela huwa Dr Adrian Grima, li jgħallem il-letteratura Maltija fid-Dipartiment tal-Malti tal-Università ta’ Malta. Il-konsulenti lingwistiċi ta’ din ir-raba’ edizzjoni tar-rumanz huma l-Prof. Manwel Mifsud u Olvin Vella, li wkoll jgħallmu fid-Dipartiment tal-Malti tal-Università. Il-koordinatur tas-Sensiela Juann Mamo tal-SKS huwa Joe Borg. Dawn it-tliet kotba se joħorġu għall-bejgħ għall-ewwel darba waqt il-Konferenza Juann Mamo bil-prezz speċjali ta’ €20 (flok €25).Il-konferenza se ssir nhar is-Sibt, 26 ta’ Ottubru 2013 fl-Auditorium tal-Valletta Campus fi Triq San Pawl, il-Belt bejn id-9.00am u l-5.00pm. Din is-sala ġdida tinsab fis-sular ta’ fuq tal-bini magħruf bħala l-Università l-qadima. Il-Konferenza Juann Mamo qed tittella’ mid-Dipartiment tal-Malti tal-Università bl-għajnuna tal-Ministeru għall-Edukazzjoni u x-Xogħol. Il-Konferenza se tinfetaħ mill-Ministru Evarist Bartolo, li kien kiteb id-daħla għat-tielet edizzjoni tar-rumanz, u l-ewwel waħda fil-forma ta’ ktieb, tar-rumanz Ulied in-Nanna Venut fl-Amerka li ħarġet fl-1984. Fil-ftuħ se jitkellem ukoll il-Pro-Rettur il-Prof. Joe Friggieri f’isem l-Università. Din se tkun l-ewwel konferenza nazzjonali dwar dan l-awtur, studjuż u attivist kulturali straordinarju li twieled fl-1886 u miet ta’ età żgħira, u f’ċirkostanzi misterjużi fl-1941. Fid-dawl tal-fatt li Mamo kellu ħafna interessi, talenti u esperjenzi, u li dawn jidhru sew fil-poeżiji, fir-rumanz u fil-firxa ta’ personaġġi li jissemmew fih, il-Konferenza Juann Mamo se tistħarreġ il-personalità u l-istrateġiji lingwistiċi u letterarji ta’ Juann Mamo minn angoli differenti. Is-sbatax-il kelliem u kelliema tal-Konferenza Juann Mamo, bit-tema “Nistgħu Ma Niktbux il-Veru?” meħuda mir-rumanz stess, huma studjużi minn oqsma bħal-letteratura, il-lingwa u l-lingwistika, l-inġinerija, il-mediċina, il-liġi, l-etnografija, u l-istorja tal-emigrazzjoni. Barra minn hekk, Dr Immanuel Mifsud se jippreżenta siltiet qosra minn films li jmissu temi jew jippreżentaw xenarji li huma ttrattati minn Juann Mamo fin-narrattiva u l-poeżija tiegħu. Fost il-kelliema se jkun hemm il-Prof. Oliver Friggieri, li fl-1984 kiteb l-ewwel xogħol kritiku importanti dwar Mamo u l-kitba tiegħu fl-1984. Minbarra Dr Adrian Grima, Annalise Vassallo, u l-Prof. Manwel Mifsud, se jitkellmu wkoll Dr Bernard Micallef, il-Kap tad-Dipartiment tal-Malti; il-Prof. Ivan Callus, il-Prof. Raymond Mangion, P. Lawrenz E. Attard, Dr Charles Scerri, Dr Ing. John C. Betts, Dr Albert Gatt, Dr Michael Spagnol, Anna Borg Cardona, Lara-Marie Cilia, u Clifford Jo Żahra. L-erba’ sessjonijiet ta’ diskussjoni se jitmexxew minn Dr Mario Cassar, il-Prof. Albert Borg, Dr Marco Galea, u l-Prof. Henry Frendo. L-edizzjoni l-ġdida tar-rumanz Ulied in-Nanna Venut fl-Amerka, b’daħla kritika u tifsir il-kliem ta’ Adrian Grima mgħejjun mill-konsulenti lingwistiċi, hija bbażata fuq l-edizzjoni oriġinali li ħarġet bħala faxxikli bejn Frar tal-1930 u Ottubru tal-1931. F’dan ix-xogħol kellu sehem ukoll Stefano Farrugia, għalliem li hu gradwat tal-Malti fil-livell ta’ MA, li ttajpja r-rumanz mill-ġdid. It-tieni ktieb huwa dwar firxa tassew kbira ta’ personaġġi Maltin u barranin li jissemmew fir-rumanz ikoniku ta’ Mamo. Hemm personaġġi magħrufin fl-ibliet u l-irħula Maltin ta’ żmien Mamo u hemm awturi, artisti u xjenzati barranin. Dan il-ktieb huwa xogħol il-ġurnalista u awtur veteran Anton Cassar. Mal-kitba tiegħu żdiedet ir-riċerka estensiva ta’ Olivia Borg u Adrian Grima, u l-indiċi ta’ Claire Grech. Cassar jagħti l-perspettiva personali tiegħu fuq numru ta’ personaġġi li kien jafhom mill-qrib. It-tielet ktieb fis-Sensiela Juann Mamo tal-SKS, bl-isem ta’ Tħeġġiġa lill-Kittibin, huwa ġabra kritika tal-poeżiji kollha ta’ Mamo minn Annalise Vassallo, gradwata tad-Dipartiment tal-Malti. L-isem tal-ġabra huwa meħud minn waħda mill-iktar poeżiji rappreżentattivi ta’ Mamo, sejħa mqanqla biex l-awturi Maltin jimpenjaw ruħhom favur il-ħtiġijiet tal-poplu. Kulħadd huwa mistieden għall-Konferenza Juann Mamo. Id-dħul huwa b’xejn, inkluż l-ikel, u m’hemmx bżonn ta’ reġistrazzjoni minn qabel. Waqt il-konferenza se jkun hemm ħin għal diskussjoni miftuħa bejn il-kelliema u l-udjenza preżenti dwar it-temi li jitqajmu. Hemm tagħrif dettaljat dwar il-Konferenza Juann Mamo u t-tliet kotba tas-Sensiela Juann Mamo fuq il-Facebook u fis-sit https://juannmamo.wordpress.com. Aktar tagħrif jista’ jinkiseb mingħand Dr Adrian Grima fl-indirizz adrian.grima@um.edu.mt. 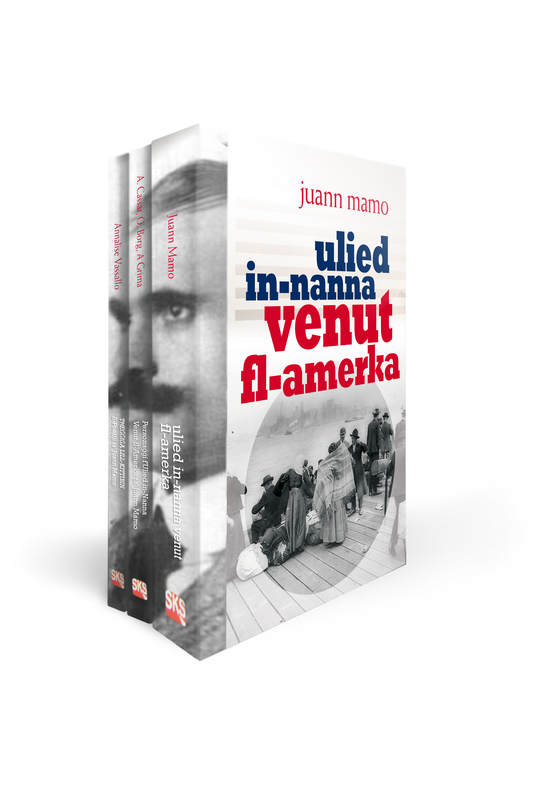 Juann Mamo’s cult novel Ulied in-Nanna Venut fl-Amerka about social and political life in early twentieth century Malta and Maltese emigrants in New York will be available in bookshops at the end of October in a new, critical edition published by SKS. This is one of the three books being published as part of its Sensiela Juann Mamo, with covers designed by Pierre Portelli, one of Malta’s leading artists and graphic designers. Edited by Dr Adrian Grima of the Department of Maltese at the University of Malta in consultation with leading language expert Prof. Manwel Mifsud, this fourth edition follows very closely Mamo’s original edition published in numbers in 1930-31, including his many footnotes, and then republished in 1971-72 by the satirical newspaper Ix-Xewka and in book form for the first time by SKS in 1984. For decades Mamo’s novel was in effect ignored by the literary and critical establishment because of the unorthodox nature of his literary style and critical content. The new edition has a critical introduction by Adrian Grima and an extensive glossary that will allow readers to look into the fascinating world of Mamo’s creativity with language. However, SKS is also publishing a companion book to the novel with information about many of the real life figures mentioned by Mamo, from prominent Maltese politicians and activists and common people who became popular figures in the community, to world renowned scientists and personalities of American popular culture. The brainchild of veteran journalist and writer Anton Cassar, this book also includes extensive research by Olivia Borg and Adrian Grima. The third book in this series related to Juann Mamo is a critical edition by Annalise Vassallo of his collected poems. The title of this book, Tħeġġiġa lill-Kittibin, is taken from one of Mamo’s most engaging poems, most of which were all published in the Maltese press. This new book allows readers to get to know other sides of Mamo’s complex personality which are not always immediately visible in his prose writings. Three of the poems in the book are long narrative works published in booklet form by Mamo in 1913 soon after being released from prison: “L-Għannej Qormi u l-Għannej Żejtuni,” “Bikja ta’ Xebba” and “Iz-Zija u l-Fatat”. In these poems his interpretation of everyday life in early twentieth century Malta differs quite radically in tone from the harsh criticism he levels at his compatriots in Ulied in-Nanna Venut fl-Amerka almost twenty years later. These three books edited by Adrian Grima and published by SKS will be available in bookshops at the end of October 2013. This Saturday, the Department of Maltese at the University of Malta will be hosting a wide-ranging conference on Malta’s original literary ‘enfant terrible’ – Juann Mamo. Ahead of the conference – taking place at the old University in Valletta – we speak to the conference’s organiser, the lecturer and poet Adrian Grima, about why Juann Mamo’s gritty, honest snapshots of Maltese life still resonate. Juann Mamo’s passport from 1921. 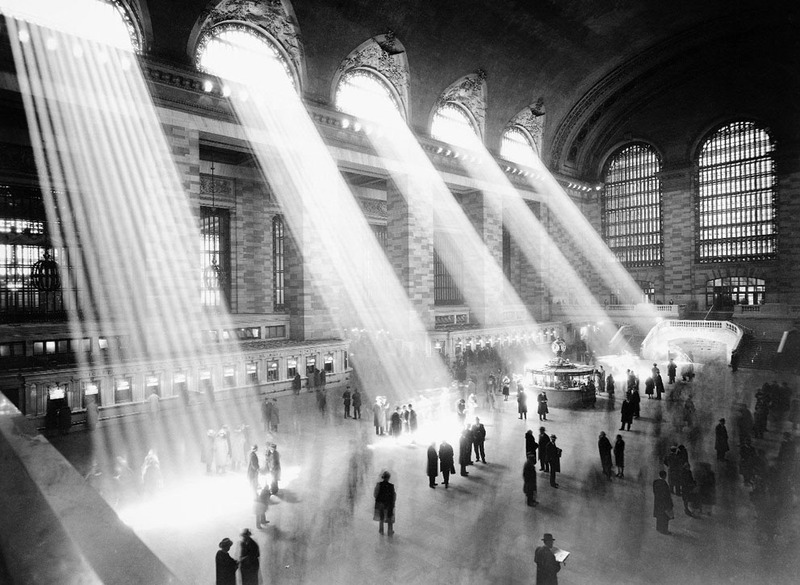 Photo: Adrian Grima. What makes Mamo such an enduring Maltese literary figure? What makes Mamo such a captivating figure is his audacity. For over 50 years he was practically ignored by the literary and critical establishment. And then, in the same year, 1984, Oliver Friggieri wrote a book about him and his work, and SKS published the first edition of his novel Ulied in-Nanna Venut fl-Amerka in book form. But it is only in very recent years that academic work on Mamo has gathered pace. Do you think that he plays a unique part in the literary canon? I’m not sure we have a canon… And even if we did, I’m not sure Mamo would fit into it very nicely. That’s what makes him so attractive, so contemporary, if you wish, to audiences today. And then there’s the grand narrative of Maltese emigration that has been almost completely ignored by our literature in Maltese. Mamo’s novel is only the beginning. Why haven’t we told the stories of hundreds of thousands of Maltese migrants from the beginning of the 19th century till today? Guze Stagno’s most recent novel appears to channel Juann Mamo’s work (Ulied in-Nanna Venut in particular) – would you say that there’s something inherently ‘contemporary’ to the satirical thrust of Mamo’s work? Mamo’s narrator constantly reflects on the act of narration, of how you’re meant to write a novel. He does it in a very entertaining and ironical way, shooting his way through the literary establishment of the day and taking no prisoners. That’s why he likes Cervantes and Don Quixote so much. In 1986, Mario Cassar declared in his dissertation that Mamo’s novel had no parents and no offspring (“rumanz bla preċedenti u bla suċċessuri“). Twenty-seven years later, things haven’t changed. Maltese literature has gone through a major renaissance with the cosmopolitan generation of the late 20th and early 21st century. But Mamo’s irreverence and his bold narrative technique – apart from the circumstances in which he wrote – make his work unique. It’s not the kind of work you would want to imitate… where can that take you? The conference: how did you manage to amass such a varied selection of speakers? What do you think it says about Mamo’s reputation, and the thematic, social and aesthetic legacy his works have left behind? I think it’s Mamo’s eclecticism that makes him so attractive to people from different backgrounds. He has a lot to say to people with different interests and, most important of all, he says it with the deftness of a shrewd storyteller who is fully aware of the narrative strategies he has at his disposal. And makes the most of them. He tries to give the impression that he’s telling you a very simple story. And that you’re very much in control of what you’re reading. But you also have that nagging feeling that things are not quite what they seem. And you would be right. Because the cheeky, self-conscious narrator of Mamo’s novel takes you places you’ve never been. The conference runs from 08:45 to 17:00 on Saturday, October 26. More information: https://juannmamo.wordpress.com or look log on to ‘Konferenza Juann Mamo‘ on Facebook.